It’s the second to last week of classes here, and a mad scramble on the part of students to finish work. I’m in a mad scramble myself, working on getting as many things to the finish line as possible while reviewing work on many projects from folks helping with them. I’ll be bringing on a few more people in the coming weeks as school wraps up and I have more time to brings many of these things to fruition. • Saturday: viewing and rejecting some 2k scans that had DVNR all over them, erasing lines on a bunch of the characters! They’ll be redone this week. • Wednesday: prepping more films for Friday scan, sending more ‘Cartoons to the Rescue’ discs. I’m looking forward to a little break for a day or two. If you didn’t get Cartoons to the Rescue yet, we should have the rest of them all out the door in the coming few days… so sorry to all for taking so long. Watching all of these projects in progress at the same time is dizzying, but I’m enjoying seeing how nice the material is looking. I’m somewhat exhausted but happy that things are going well. …..and a sneak peek at one of the finished films: Finding his Voice (1929). Of course, you’ve probably seen this film before; it was a fun one to steady and clean up. The film was produced while the Fleischers were sharing space with Audio Productions, a small studio that made educational materials as well as providing post work to various film productions made in New York. This film was one of a series of shorts made for Western Electric. Funny enough, Audio Productions seems to have kept the Western Electric contract/ account, producing a sequel to this film called Family Album with Paul Terry (who took Fleischer’s place as a resident of the Audio Productions facility). The film presents an incredibly dry (by overall simple and understandable) explanation of how sound on films works. 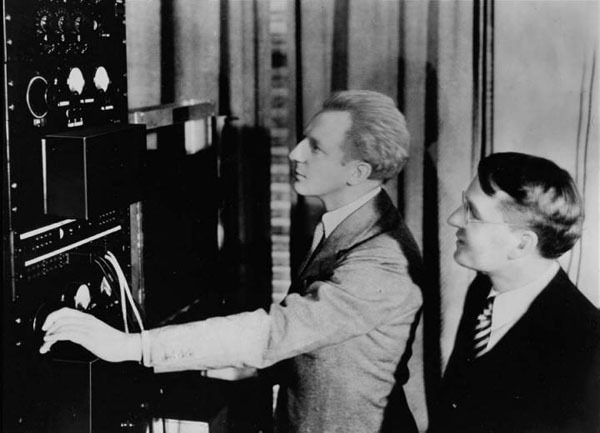 “Talkie”, the talking piece of film (played by early recording artist Billy Murray) takes “Mutie”, the silent piece of film to visit Dr. Western, who appears to be a caricature of Bell Lab’s brilliant pioneering physicist Harvey Fletcher (and quite possibly is the voice of ‘Dr. Western’ as well). He was the director of Bell Labs at this point in history. Although it isn’t confirmed that indeed this is him. it would be a really interesting side note if it is. His many inventions and innovations include being the father of stereophonic sound. It’s pretty clear that this particular film was post-synced (audio added after the animation was produced). This is a little ironic since the film is about synchronization, and often has very poor sync to mouth action. My guess is that it was much too ‘wordy’ to attempt to sync everything up at the time. It’s an interesting little short in the Fleischer history timeline, and nice to have an improved version (in HD too!). Special thanks to Tommy Jose Stathes for lending this terrific print! 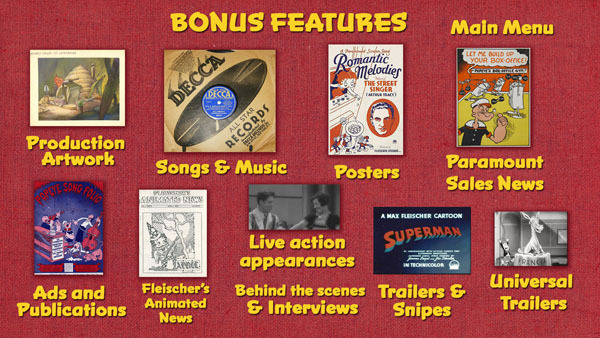 I’ll post an overview of the whole Fleischer Rarities Blu-ray next week, finally! Hope we’ll be sending them out before then! ERPI = Electrical Products Research, Inc. which was an off-shoot of Western Electric. I think the written by W.E. Erpi was an in-joke. Some sources credit an early industrial and educational filmmaker named Carlyle Ellis as the voice of Dr. Western. Even though Finding his Voice is included in Popeye the Sailor V 3. Its great to have it in this much more welcomed “Fleischer Rarities” in blu ray! !, Steve. Hope you added “In My Merry Oldsmobile” as well. So happy it looks like one of these Thunderbean projects are FINALLY on the horizon. Can’t wait. Pretty bizarre that whoever is scanning the films for you CONTINUE to occacionally mess up with DVNR. You’d think they know what you want after all this time. Out of curiosity, what’s happening with MR. BUG GOES TO TOWN and the Bunin ALICE IN WONDERLAND? I don’t remember hearing either project mentioned in quite awhile. Are they still alive or have they been cancelled? I know Steve was excited about both of them and he used to mention them every so often, but the last few months there’s been nothing said, which gives me a bad feeling that we’re never going to see them. I’d very much like to see both but especially the Bunin, as the only DVD I have of the Bunin Alice is very poor quality indeed (sort of 3rd rate vhs quality) – it’s crying out for a good quality version! Is it likely to be released soon-ish eg say in the next year or two ? Or is it likely to take longer – say in the next 2 to 5 years ? Or is it pretty much cancelled as a potential Thunderbean release for the foreseeable future ? Or is it completely up in the air as to what may or may not happen to its release ? If you could give a brief mention of it’s likely eventual release or non-release status please Steve, that would be wonderful. Last heard was that they don’t have the bucks for music licensing. I wouldn’t look for it anytime soon. There’s a LOT of projects promised in 2017 that are just starting to see the light of release. Thanks Robert for the info about the music licencing costs being too expensive. I thought I’d read pretty much all the Thunderbean Thursdays, over the last few years – or perhaps probably just a case of poor memory on my part – as that seems to have escaped my attention! I assume you’re talking just about the Bunin Alice (which has a few songs or more) & not Mr Bug also ? William: the short explanation is that the MR BUG GOES TO TOWN Blu-ray/DVD is (for the moment) on hold, due to Paramount not being sure if the Thunderbean company is big enough to handle such a licence from them. Steve has mentioned this on the Internet Animation Database forums (intanibase.com), where Thunderbean has its own forum section. We’re all hoping MR BUG can still happen at some point, but right now, it’s uncertain. can you upload the rare superman trailer because it is interesting to see trailers for an animated short.